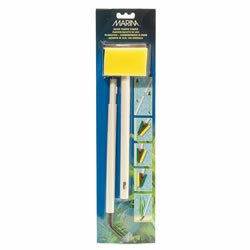 The Marina Deluxe Planter Scraper is a multi-purpose aquarium cleaning tool that is useful for a variety of applications. 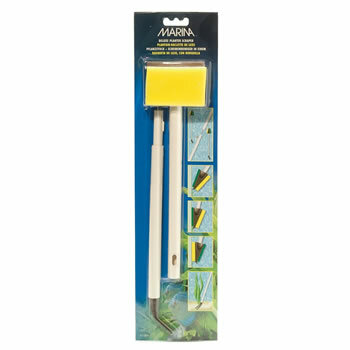 The 4-in1 tool has a two-sided scraper pad that is suitable for glass and acrylic aquariums: the soft yellow sponge side removes soft algae or slime; the abrasive green nylon pad side is excellent for removing stubborn algae or slimy stains. It also has a plastic scraper blade that removes hardened stains and a practical planter fork that is ideal for plant maintenance and the removal of debris. 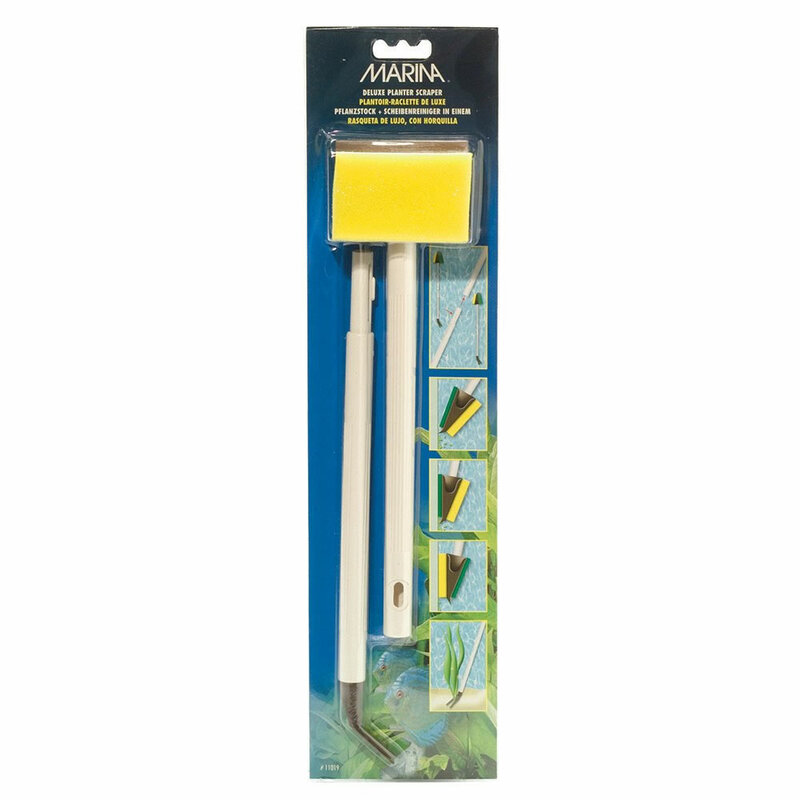 The Planter Scraper has a 48 cm long shaft that provides excellent reach.